Though if there is one good thing I have learned through all of this is to appreciate what I have and who I have while I have it and to share as much as I can while I can. In life, it really is the little things that matter most. Juts like the majority of us, the Zobels have the same sentiments and luckily, the means to spread this important message across this Holiday season. This year, Christmas at the Ayala Malls is more about sharing than receiving. It is a time to give back to the community now that they need it the most. A host of activities are set to benefit the victims of Yolanda and even those of the recent Bohol earthquake. Kick-starting the month and a half long activities is the Stars Of Joy concert. Piolo Pascual, Martin Nievera, Kuh Ledesma, Joanna Ampil and the Steps Dancers as directed by Audie Gemora, will illustrate how Ayala Malls have evolved through the years and how they have captured the Filipino's love for the arts, music, food and the movies. The concert series encourages mall goers to come together as a community and show support for the Yolanda victims through donations. Donation boxes will also be located in all Ayala Malls concierge. 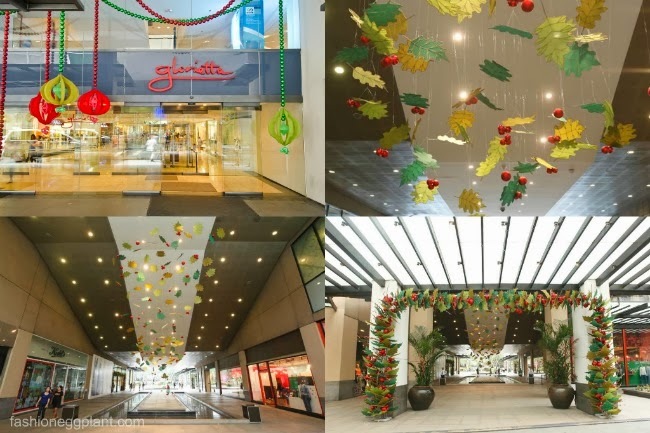 To add to the Christmas cheer, all Ayala Malls come to life in a dreamlike scenery and completed with Jaime Zobel de Ayala's "The Tunnel Of Joy" which transforms the tunnel leading to Greenbelt into a panoramic visual wonderland of Christmas Joy. See the magic of Christmas through the lens of this fine artist. Something else to look forward to is "Pepe's Secret Christmas" which is a contemporary display of Ballet Theater that reveals the timeless lessons of traditional Filipino values and our love for beauty and harmony. Pepe's Secret Christmas is about seeing the celebration of Christmas through the eyes of a young man and a rowdy assortment of talking and dancing animals. The production is headed by Sofia Zobel - Elizalde - director of Dance Steps studio/Steps Dance project and choreographed and directed by James Laforteza. And after being such a good samaritan, Glorietta Christmas shoppers are awarded with a chance to win a P25,000 shopping spree, overnight stay for two at Raffles Suites or a buffet for 10 at the Holiday Inn by joining "A Thousand Encounters" - a photo competition and photomap exhibit inspired by the concept of Jaime Zobel de Ayala. The comptetition aims to capture the creative spectacles of Christmas and celebrate the diversity and individuality of mall goers set against the background of Glorietta. A photo booth at the entrance will capture the myriad expressions. And lastly, this year's celebrations become more meaningful with Ayala Group of Companies, "Tugon sa Bohol" campaign. An initiative for the restoration of the damaged churches of Bohol. The activities included a benefit concert entitled "A Song Of Hope" last NOvember 8 at the Ayala Triangle Gardens and "KISAME" an ongoing exhibition of photographs showcasing the painted ceilings og Bohol's colonial churches. The spirit of Christmas is truly about givinng and there's no better place to experience that tahn in Ayala Malls. for more info on Ayala Malls, LIKE them on Facebook.